Following his resignation after just one month on the job as an aircraft mechanic in California, Feldman Shepherd client Gary Williams was driving back to his home in Norristown, Pennsylvania. On March 2, 2012 at about 2:00 a.m., Mr. Williams was traveling on Interstate 80 eastbound in Illinois, driving his 2002 Chevrolet TrailBlazer and towing a rented U-Haul box trailer. For unknown reasons, the TrailBlazer and the U-Haul trailer became jack-knifed across both eastbound lanes. While the SUV and trailer remained stationary on the roadway, with all of their lights on, the TrailBlazer was struck by a tractor-trailer operated by a driver for K&B Transportation, Inc.. As a result of the accident, Mr. Williams suffered a traumatic brain injury and other orthopedic and internal injuries. At trial, it became clear that the driver may not have complied with the hours of service regulations of the Federal Motor Carrier Safety Administration. The regulations allow a driver a period of 14 consecutive hours in which to drive up to 11 hours. Thereafter, a driver must take a rest break for 10 consecutive hours before driving again. The K&B driver in our case claimed he took his 10 hour break the day before the accident in the sleeper berth of his tractor, but the evidence introduced at trial showed that this was false. The driver subsequently said he was sleeping at a “company motel,” but there was no record of his staying there. We then found evidence that for at least some of the mandated 10 hour rest period, he was actually at the company offices being trained on new equipment. 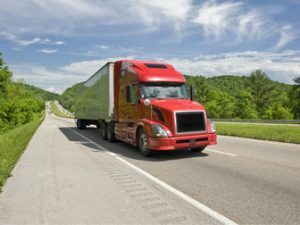 When truckers avoid taking their mandated rest breaks, they are more likely to become fatigued and to make poor driving choices which could lead to a trucking accident. For the safety of all of us, it is essential that the federal hours of service requirements be observed and enforced by truck drivers and the trucking companies they work for. But pressure is being applied for Congress to eliminate many of these safety rules. The trucking industry, through its chief trade group, the American Trucking Associations, insists that it needs longer work weeks and even bigger vehicles. The almost inevitable result of these changes will be more accidents and more deaths on our nation’s highways. Congress must pass a comprehensive highway funding bill and ensure that safety regulators have sufficient resources and political support to do what must be done in order to reduce the continuing carnage on our highways. It should not bow to pressure from the trucking industry for further deregulation. Please tell your legislator to maintain the hours of service limitations for truck drivers that have been the law of the land for years, and that has helped keep us safe on our country’s highways. If you or a loved one suffered a trucking accident, the Feldman Shepherd Team is here to help. Please contact us at 215-567-8300 or email info@feldmanshepherd.com.